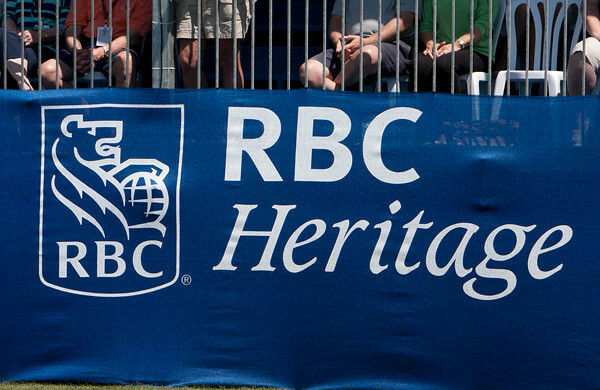 As it has done over the last few years, the RBC Heritage takes place the week after the first major of the year, The Masters. The 2013 & 2014 winners both played in The Masters the week before their victory. The field is a relatively strong one this week and surprisingly last week’s major winner Jordan Spieth is in the field and unsurprisingly is the 13/2 favourite. Habour Town was designed by Pete Dye and it’s a testing par 71 that plays 7,101 yards. Harbour Town is located near the coast and is a links styled track, therefore the wind is likely to be a factor. The greens are amongst the smallest on the PGA Tour and finding the fairways is crucial. This is one of very few courses used on the PGA Tour where driving accuracy is more important than driving distance. From 2012 to 2014, 16 players have finished inside the top five (including tied fifth) and 14 of those players finished the year inside the top 60 in the driving accuracy statistic. As well as driving accuracy, a good short game is also crucial this week. Fifteen of the sixteen players that finished inside the top five from 2012 to 2014 were ranked 58th or better in either of the scrambling or strokes gained putting statistics. One final statistic which is relevant is par three scoring average. Over the last five years only one player has ranked below average in the par three scoring average statistic and this is certainly a stat that I’ve looked at this week. Graeme McDowell – I was very surprised to see Graeme McDowell priced at 45/1 this week given his excellent course form. In 2013, McDowell won this event and last year he finished in a respectable 23rd position. Harbour Town is the type of golf course McDowell should thrive around. Accuracy off the tee is preferable and last year McDowell was ranked 12th on the PGA Tour in terms of driving accuracy. Admittedly, McDowell isn’t in excellent form, however he did make the cut in The Masters last week and performed very well in the opening round. Augusta is a course that McDowell has struggled around in the past therefore a 52nd place finish is pretty good. Russell Knox – Scotsman, Russell Knox is a player I expect to win on the PGA Tour in the near future and hopefully this will be his week. Knox has coming close to claiming his maiden PGA Tour victory on a couple of occasions and he won’t get many better chances than he will this week. Harbour Town suits Russell’s game, he’s accurate off the tee and is a decent putter. Last year Knox finished 9th in this event which proves he can perform well around Harbour Town. Pat Perez – My final selection this week is Pat Perez and I’m baffled by his 70/1 price tag with Paddy Power who are also paying out on six places each way. Perez’s course form is excellent, he’s finished inside the top 20 in his last four visits to Harbour Town which shows how much he likes the course. Unsurprisingly his game suits the course, he’s short and straight off the tee and is a great putter. Pat is also having a very good season, he finished 4th in the AT&T Pebble Beach National not so long ago and he tied for 11th in his most recent outing which suggests he’s playing well.